Hull and dice the strawberries. Place in a bowl. Add jalapeno, green onions, cilantro, lime zest, lime juice, and honey. Stir gently. 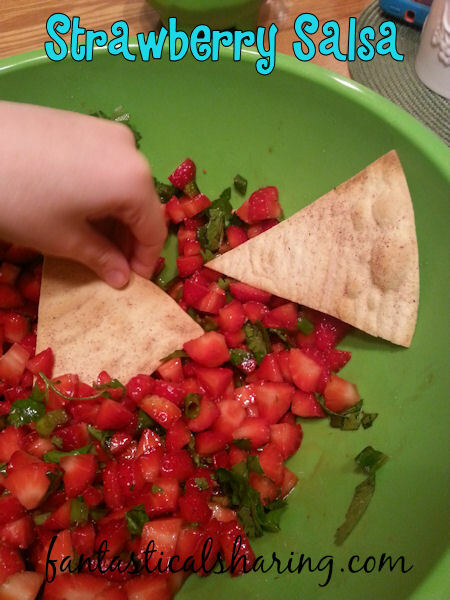 Add pinch of salt and serve with tortilla chips [we did homemade cinnamon sugar tortilla chips].